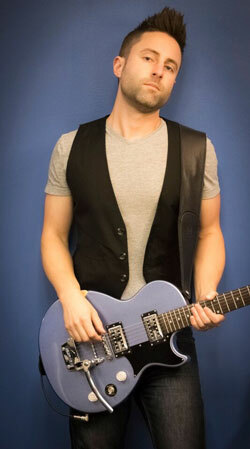 “I’m just a guy serving at my local church who loves leading worship and writing songs. 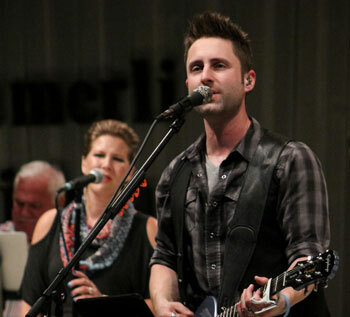 My hope is that those songs can reach the world for Jesus,” says Adam Layne Fisher. And that statement alone should instantly give you the measure of the man behind the music of the 11-track album Christian rock album, “Live at Barnet Park”. The album is groovy, hard, heavy, and even light in certain places, without being too flaky or gimmicky, and overall, it seems like Adam, the band and the crew put a lot of time into realizing a solid project. Considering that they not only released an album of this live concert but also had it filmed. The video has also been published on YouTube. Adam Layne Fisher hardly misses a beat in delivering great songs on “Live at Barnet Park”, which was recorded at the Zimmerli Amphitheatre at Barnet Park. The guitars are nice and crunchy and there’s a lot of fist-pumping fun to be had listening to these songs. The album is well-rounded with plenty of enjoyable rockers and a few great ‘softer’ tracks to even things out a bit. Adam’s versatility as a singer is also especially impressive- he absolutely nails the rockers and softens things up powerfully for the ‘quieter’ moments. But don’t be fooled when I say ‘quieter’ moments. If you are thinking of those too well-known soppy ballads, then there are no real ‘quiet’ moments here; this is all powerfully uplifting stuff. This is Adam Layne Fisher celebrating Jesus to the world, remember. And he is not about to that too ‘quietly’! Adam may switch tones, textures and pace from “To God Be”, “Crown Him” or “Lift High The Cross” and “Keep Me Near” to “Take The World” and “All Things New”, but his intensely passionate deliveries never let up for one moment. “Live at Barnet Park” is so varied, so unique; not only from Christian Music, but from rock music in general that it caught me off-guard. Most bands tend to have a very similar sound throughout their whole album, and while Adam Layne Fisher retains his signature style throughout, I feel like each song is unique. No two songs sound overly similar, and for a live album that is a phenomenal result. Maybe this is due to the breathtaking sound that Adam and his group have crafted for themselves, as the instrumentation and vocals are so good that it really blows you away. In terms of performance, sound and emotion, many major label bands with multi-million mega-budgets, have struggled to achieve what Adam has done on this live recording. 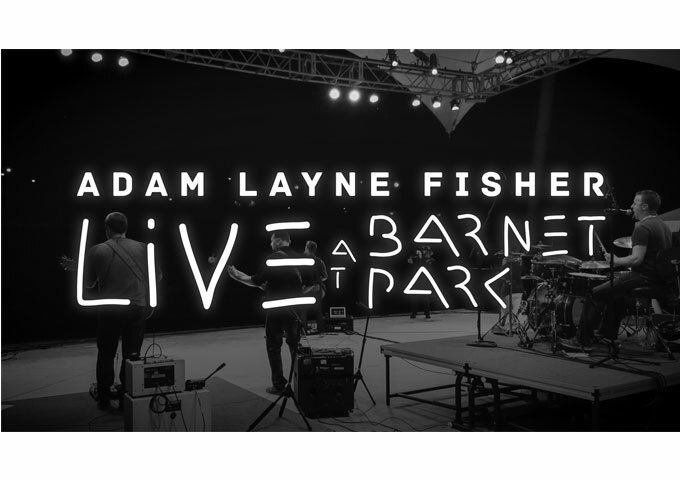 Adam Layne Fisher live at Barnet Park! Adam Layne Fisher truly shines for Christ in a way that can reach so many people with the truth of His love for them. All the songs are very good, some standouts for me are “Crown Him”, “Shine Down”, and then finally I can’t say enough about “Take The World” and “God It’s You”. 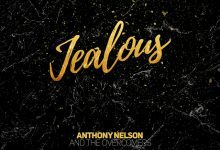 These songs just might be the best – lyrically for what they represent, musically the emotions that they transmit, and vocally the passion that they deliver. “Live at Barnet Park” presents stories that all Christians can relate to. In addition, people who are in the middle of the darkness can find through these songs that there is hope in the end for all who put their faith and trust in Christ. I don’t know how Adam, his band and crew managed to pull off an incredible live album of this magnitude, which rocks, and is immensely enjoyable from the first track onward. I had never even heard of Adam Layne Fisher until this recording. But I certainly won’t be forgetting about him anytime soon after listening to this!